Hello, my name is Tim and I am a recovering perfectionist. 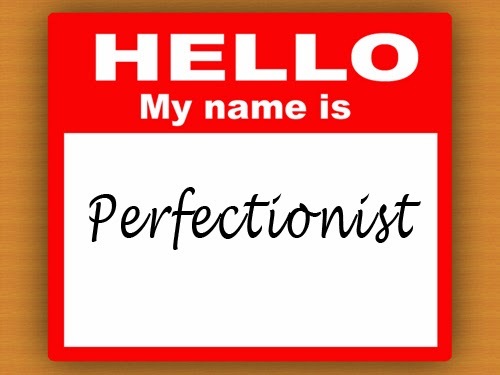 There was a time in my life when perfectionism ruled all areas of my life. The need for consistent daily routines with no ability to deal with anything outside that terrain of the familiar caused me to have the illusion that I was in control, competent, and, well, perfect. To fail at anything meant I was a worthless person, which made me unacceptable to myself and fed a constant stream of beating myself up emotionally for my imperfections. A wise professor once said to me: “Tim, can you be a good enough pastor?” He was asking me if I could be responsible and do what needed to be done without being an obsessive-compulsive mess about it. He was pointing out to me that to do my best was good enough, period. That was solid stuff for me. The pastoral vocation is one in which, even doing something to the height of perfection, may lead a parishioner to complain about what you did wrong or fault you for some perceived deficiency. If a church leader is not secure in the love and grace of Jesus Christ, it is a prescription for burn-out, strained relationships with family, and depression. Perfectionism is not something to embrace as a virtue; it is the sin of working for approval and acceptance, instead of relying in the identity of being hidden in Christ. The pathology of my perfectionism was a bent toward all-or-nothing thinking – having complete control or no control at all. If I could not do something perfect, I did not do it at all. I have since been learning to live in the in-between world of little-by-little, day-by-day change, where most of life is actually lived. Most of our daily existence is lived in the mundane, in the constant rhythm of a three-steps-forward, two-steps-backward kind of life. It is simply unrealistic to think that the Christian life can be some sort of unending progressive path of perfection. It would be like a baseball player thinking he should be able to bat 1.000 without ever striking out. Becoming holy along the road of spiritual sanctification means we will, little by little, day by day, one step at a time, have our sinful desires exposed, our wrong thinking and feeling patterns revealed, our self-protective styles of relating, our avoidance of conflict and pain, all seen for what they are. Without seeing our sin for what it is, we will never see God’s grace for what it is. To slowly and deliberately learn to live in the faith and grace of Jesus is our greatest task, and our highest joy. Living in this space of grace is what helps us to recognize the whispers of Satan: “You’ll never be good enough,” and “You should never make mistakes.” The devil is into trying to make us feel ashamed for whom we are; God is trying to help us confess our idolatry and turn to Jesus. Can you think the thought that God delights over you? Can you believe that you have been created in God’s image and likeness, and are, therefore, precious to him apart from what you do or don’t do? Can you accept that you are loved by God? Can you live with yourself? Grace is the key that unlocks the door of salvation. Use it.